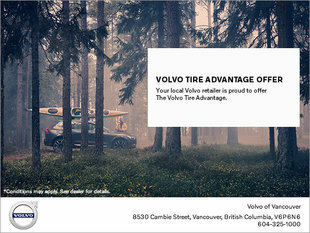 If you're looking to save money when you buy your next Volvo car, visit us at Volvo of Vancouver today. We have several special offers as well as discounts on financing and at our after-sales service departments that will help you save on your next visit. Regardless of whether you are looking to save money on the purchase of your next Volvo, a certified pre-owned Volvo vehicle, Volvo maintenance, body shop services, detailing services or financing, we have you covered at Volvo of Vancouver. At Volvo of Vancouver, we offer several discounts and promotions on our new Volvo vehicles that allow you to find the vehicle that meets your needs while respecting your budget. Come and discover our seasonal and monthly offers on our new Volvo vehicles today. We believe strongly in providing value to our clients. That means we make sure that you get more for each dollar you spend. 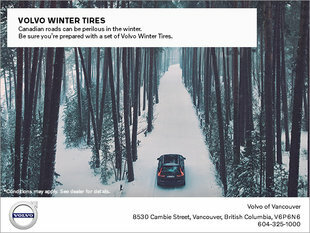 With generous in-house promotions that are continuously being updated along with manufacturer promotions and low-interest financing, it’s more affordable than you'd think to purchase your vehicle at Volvo of Vancouver. We also have several promotions and discounts on our pre-owned models as well. At Volvo of Vancouver, we want to continually exceed your expectations and one of our goals is to help you save money. We also have special offers and seasonal rebates on all our maintenance and after-sales services. Visit us today to find out how we can help you save. Check this page often, as our special offers are continuously being updated.